When a slight breeze passes through your garden, you'll love the sound of this wind chime. 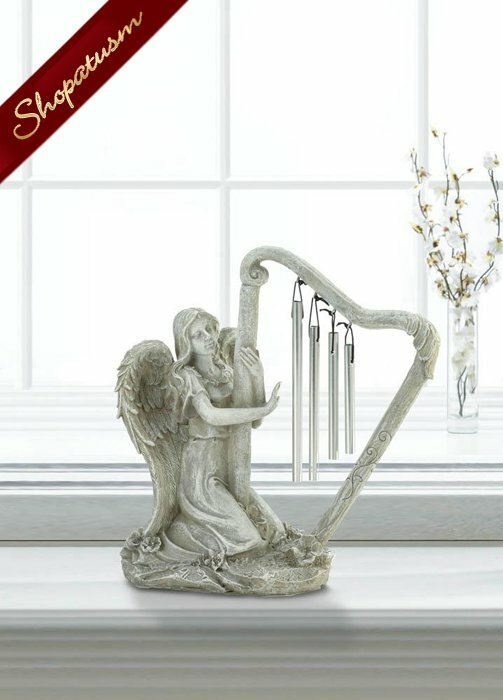 Admire the antique stone finish of this musical angel statue, as she is the perfect groundskeeper for your stately gardens. Polyresin and Aluminum. Measurements: 9" x 5" x 10.5" High. Weight: 1.6 pounds.